LMAC Photography photographs a lot of newborn shoots. 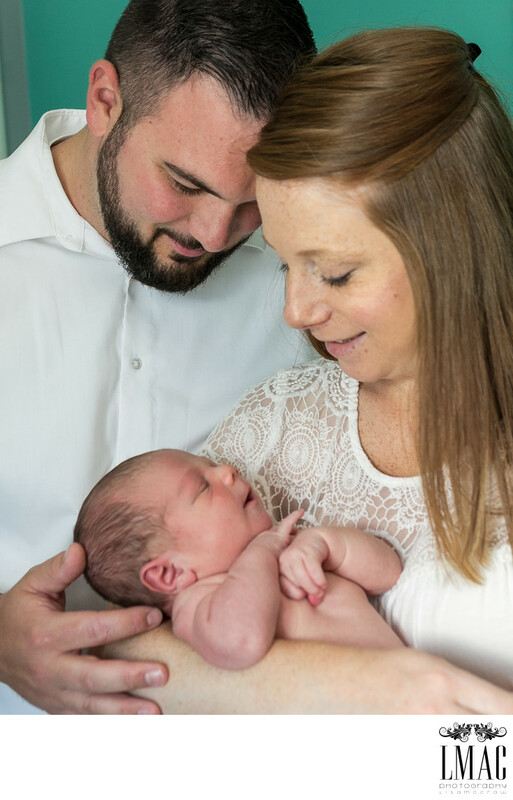 During the session, we will typically photograph just the baby, but then we'll incorporate some lifestyle photo elements to the shoot. This is a prime example of a photo from a lifestyle shoot. They are typically more emotional in content and often black and white. We also incorporate strategic lighting to add to the emotional mood of the photo. Lifestyle shoots are beautiful and rewarding and we hope our clients look back of them with fondness many years later. Lifestyle photo sessions are designed to be timeless. LMAC Photography has had the privledge of photographing this beautiful couple's wedding in the Dominican Republic. In additional to beautiful family photos, LMAC Photography is always happy to photograph destination weddings.